About my golf career: I started playing golf with my grandfather when I was about 12 years old. When visiting my grandparents at the Villages retirement community, my grandfather would take us to the driving range to learn ‘the fundamentals’ of golf. By the time I was in 9th grade, I was taking golf lessons at our local course, The Palisades, in Clermont, Florida. Allyn:Far Right Playing in the 2014 AutoClassic Golf Tournament, a charity golf tournament event for which I have developed materials and online registration for the past 5 years. My passion for golf continued through high school. I organized outings with my buddies from high school all the way through college. My first job in the field of golf was at Eagle Creek Golf Club. I applied while it was under construction, and started the month it opened in May 2004. I went on to caddy at the Ritz Carlton Golf Club in Orlando and the historic Minikahda Club in Minneapolis, Minnesota in the summers of 2006 and 2007. One of my fondest memories as a caddy was looping for Larry Nunez at the 2007 Trans-Miss Open Championship. He played valiantly and gave me many tips that helped me succeed in passing the PAT in 2008. Another memorable experience was Fore-Caddying for David Ledbetter during PGA Merchandise Week in Orlando. I tripped and landed in a soggy bunker during the early morning dew hours, and caddied the rest of the day for a celebrity while sandy and dirty from my fall. While studying golf industry management, I also fostered an appreciation for the culinary industry and technology. As part of training in all aspects of a Golf Club, I took a job in the banquet and catering department at Sweetwater Country Club, and while there moved from banquet serving to managing and operating the 80 seat cafe on my own! 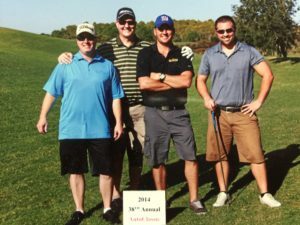 In 2009, with many industries looking bleak due to the economic collapse, I decided to pursue a career in technology using the skills I had developed while in college and put my Golf Career aspirations on hold. 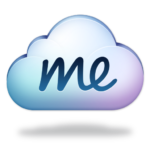 calling it a CMS (let alone “blogging software”) because it is so much more than that. WordPress can be the backbone to any type of website, from eCommerce to Portfolio. 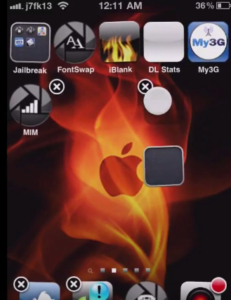 Screenshot from a 2010 video about extending the functionality of the iPhone home-screen. Folders did not exist in the iOS core at this time. I got into WordPress while I was still enrolled at UCF’s Rosen College of Hospitality Management and working at Sweetwater Country Club, around the time the iPhone 3G came out (2008). I was very interested in the future and capabilities of the Apple® handheld devices. I owned both a 2G iPod Touch and a iPhone 3G at the time and I wanted to unlock their potential through full access to the filesystem, currently known as ‘Jailbreaking’. I gained a great deal of knowledge about the iPhone and wanted to share it, so along with a friend we founded a tech blog focussed on extending iPhone functionality, using WordPress software. This tech blog was optimized for search engines (SEO) and capitalized on one of the most highly Googled terms of the year (2009) and we surpassed many developer sites for searches for their software. Through the development of that site, I learned a lot about WordPress and started following Woothemes, WPMUDev and joining Facebook groups and other online networks related to using WordPress and design. I took a digital design class as an elective and my love for Photoshop and design was started. This eventually led me to my first web-technology position out of college, and to a career in design and development. Other interests: Other hobbies that I am interested in are Mountain Biking, FPV Racing (drone racing) and Craft Beer tasting. You can see examples of my work related to these fields within my portfolio. While I have always been a passionate biker, I only became interested in drones on Christmas 2014 when I received a micro “drone” as a present. I was instantly hooked, and my love for technologies brought me into the world of FPV flying (First Person View). I now build and race “drones” competitively in a league called “MultiGP“, as part of a local club, Orlando Rotoracers and a sponsored team pilot for UBuyADrone.com (UBAD). 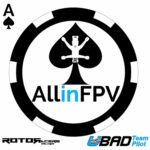 You can check out my YouTube channel (AllinFPV) for FPV flying videos that I have produced. I also run a Craft Beer Instagram account – @OrlandoCraftBeer. Check out my Instagram page!